Universal Studios have announced plans to make a sequel to the hit, 2011, comedy film Bridesmaids, but will it be without star and co-writer Kristen Wiig? When approached to write the follow up film, Wiig said that she, and her writing partner Annie Mumolo, were not working on that, at least not at the moment, they ‘aren’t planning a sequel’ and ‘are writing something else’. Wiig maintained this firm stance even after a lunch meeting with the studio. Unfortunately, not taking no for an answer, Universal may be planning on going ahead with the film without their leading lady/writer. A proposed idea for the sequel, would follow Melissa McCarthy’s character, Megan, who many, myself included, thought stole the show in the first one. However, it was Wiig and Mumolo that made that character, and the other characters, funny, so will different writers be able to replicate that or are they just wasting their time? It’s not that Wiig and Mumolo are the best writers in the world, but they did put together a great comedy film that focuses on, occasional, strong female characters, which is something you don’t see every day. Normally they either follow male characters or they’re your typical rom com, which aren’t usually funny. 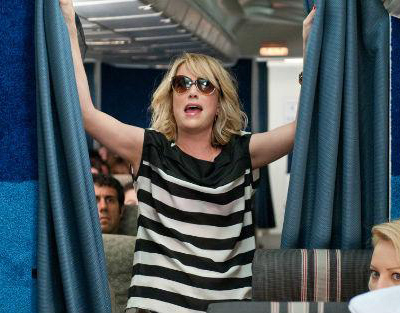 Both before and after its release, Bridesmaids, was compared to the Hangover, often being called the female version. Now that there have been two successful Hangover films, with a third one on the way, it is no surprise that Universal want to compete with their hit, especially considering the relatively small budget needed to make the film. However, is the risk of destroying the original with a bad sequel, that’s really a spinoff, too great or will the desire to make money win out? Of course the money will win in the end, it generally does in these situations, but hopefully Wiig signs up or, at very least, the writing duo are replaced by someone equally as good. What do you think? 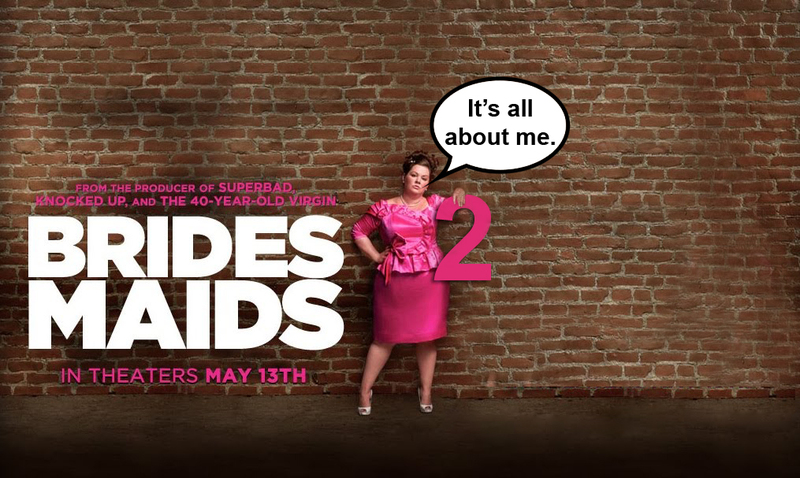 Did you like the first Bridesmaids film? Do you think they should carry on with the original writers? Is there even any need for a sequel? Let me know by voting and leaving a comment below. Also don’t forget to subscribe and click the like button. Twitter, yeah that’s right I have a Twitter account, just saying. This entry was posted on January 5, 2012 by adamodwyer1. It was filed under Comedy, Romance and was tagged with 2, annie, announced, bridesmaids, com, comedy, film, films, kristen, mccarthy, melissa, movie, movies, mumolo, picture, pictures, poster, posters, rom, sequel, studio, two, universal, wiig. If they can’t get the same writers I don’t think they should do it. They are putting themselves at a great risk of ruining the original with a bad sequel.